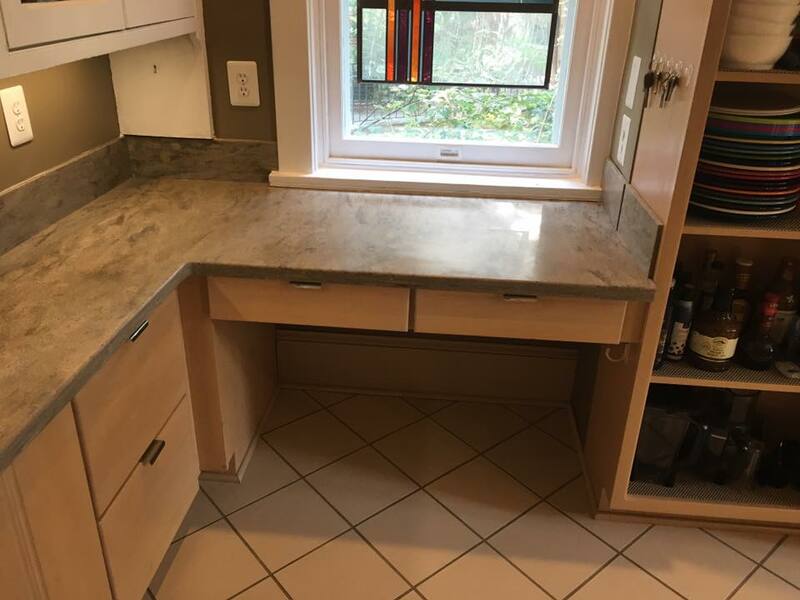 Acrylic countertops (Corian, Hi-Macs, Meganite etc…) are made of a highly durable, man-made acrylic that can come in a wide variety of colors and patterns. 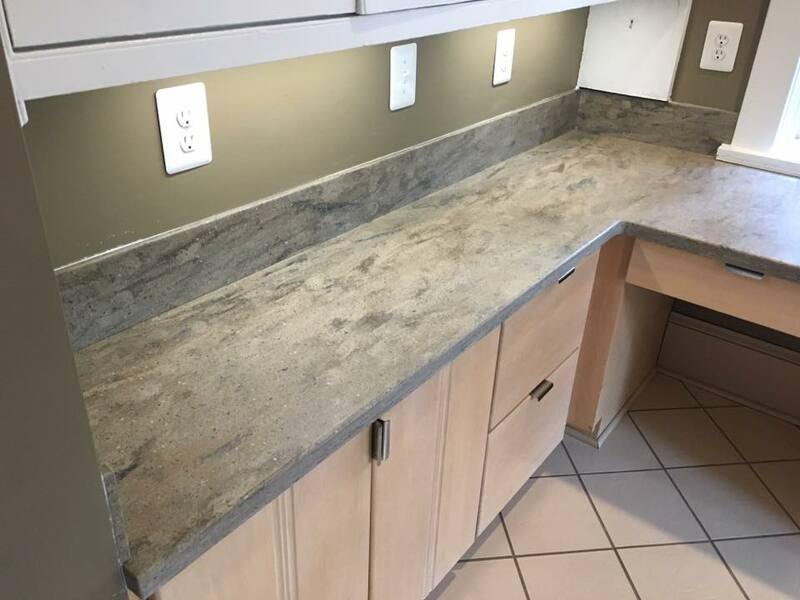 Many acrylic countertops closely resemble natural stone, but at a lower cost and without the maintenance. 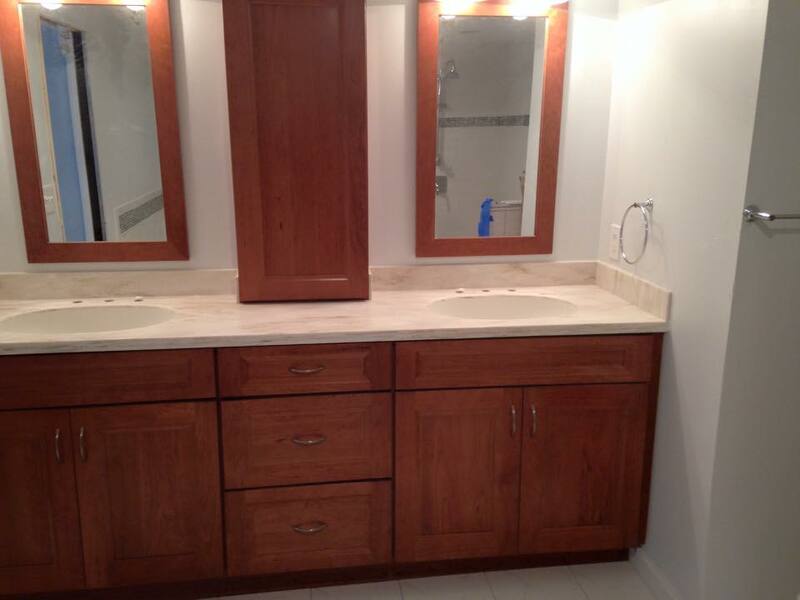 Low cost, attractive and low-maintenance – a smart decision. 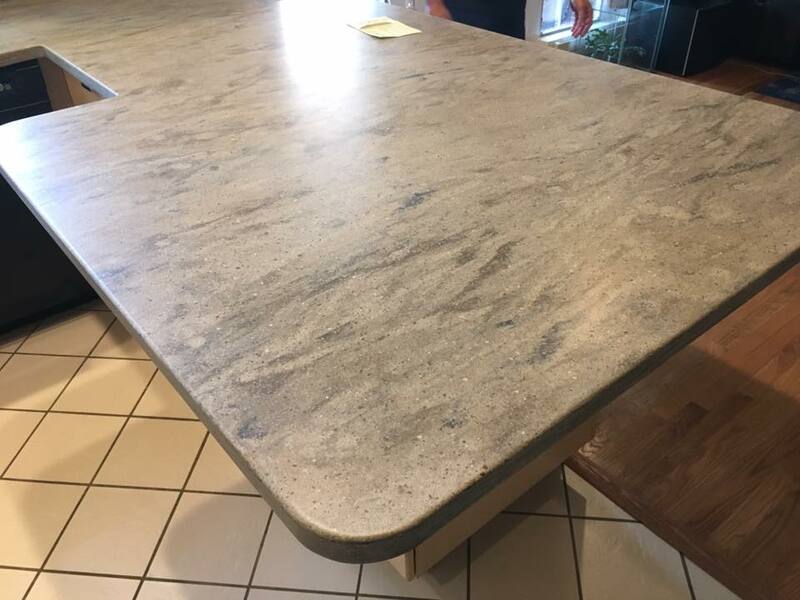 Topline Countertops offers an excellent selection of acrylic countertops in an array of colors and patterns. 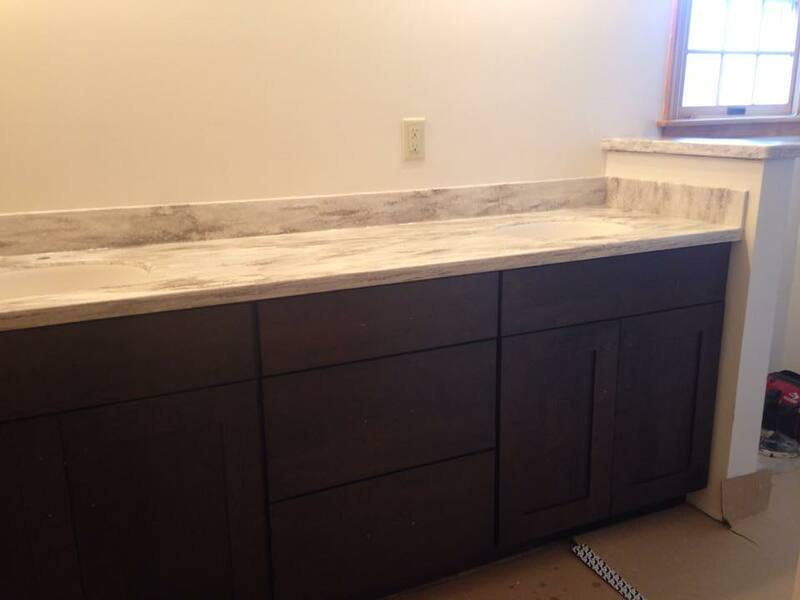 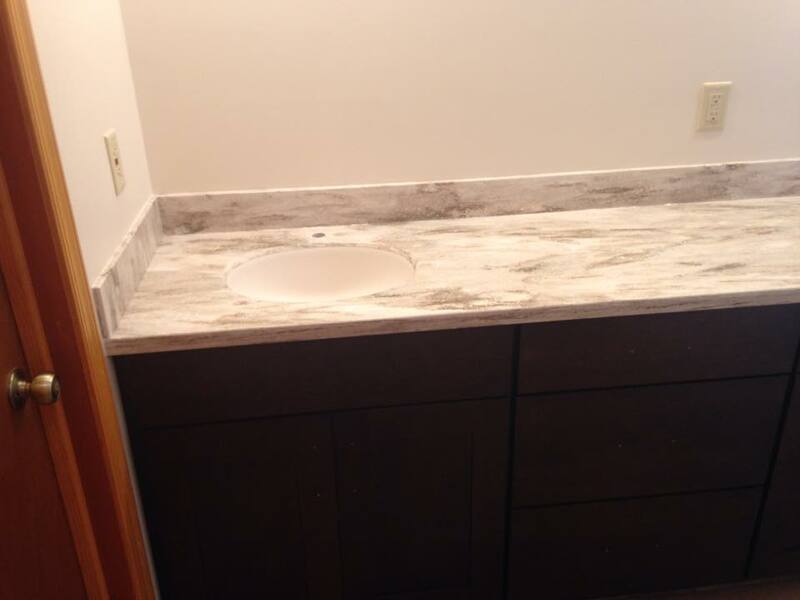 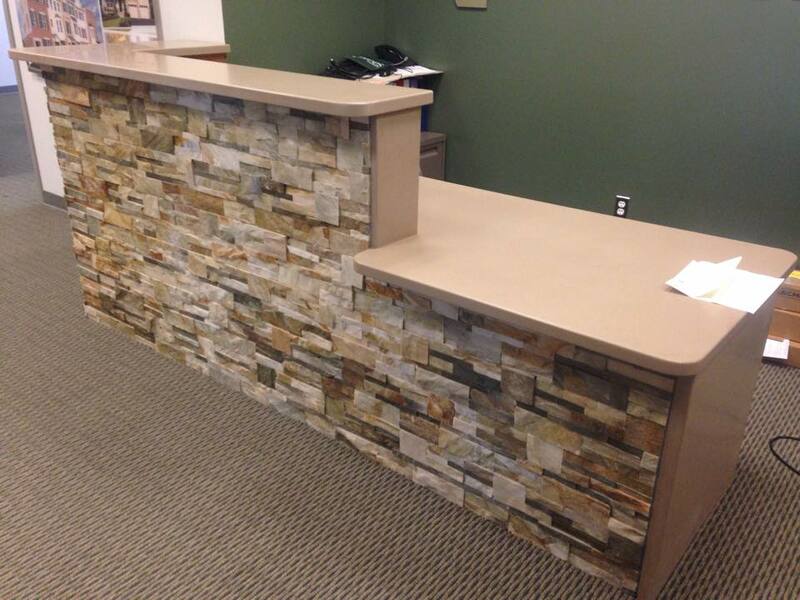 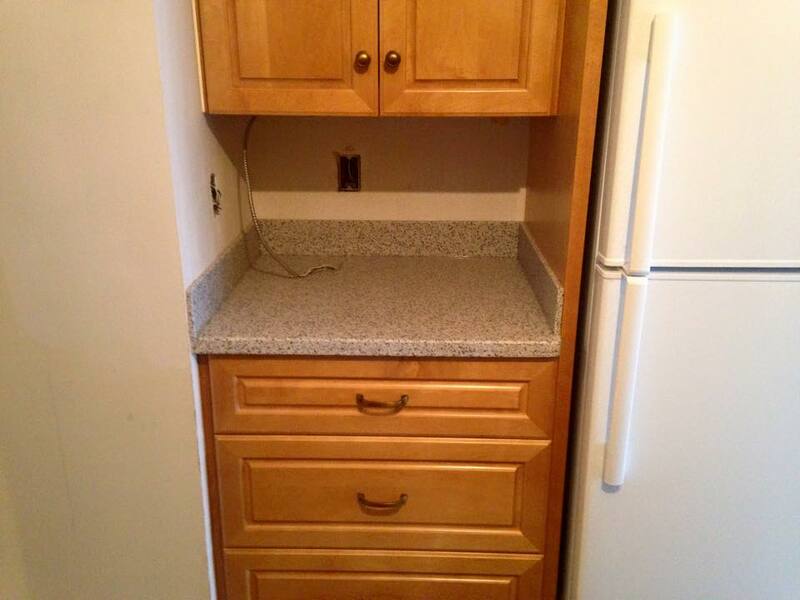 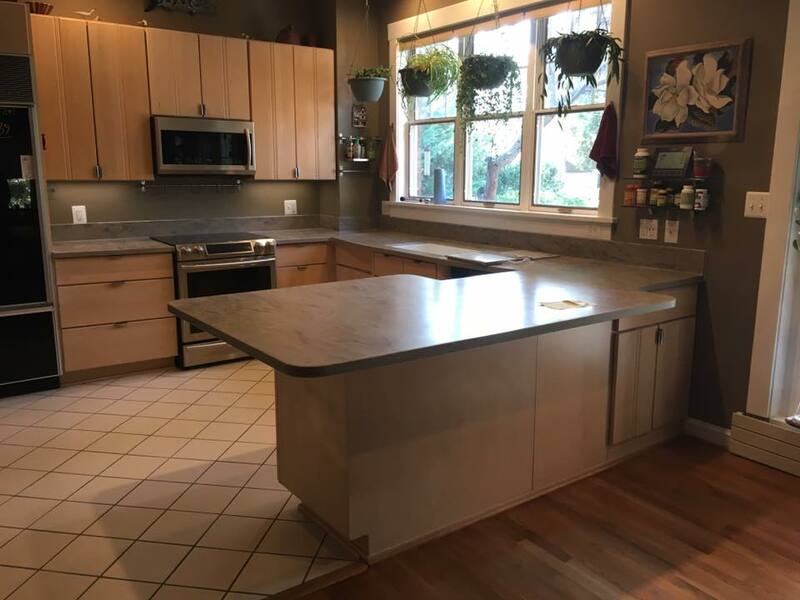 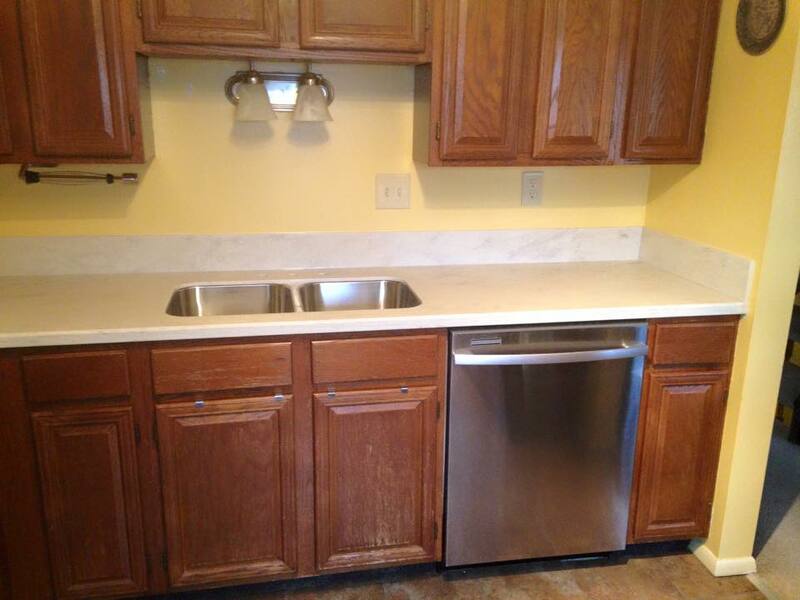 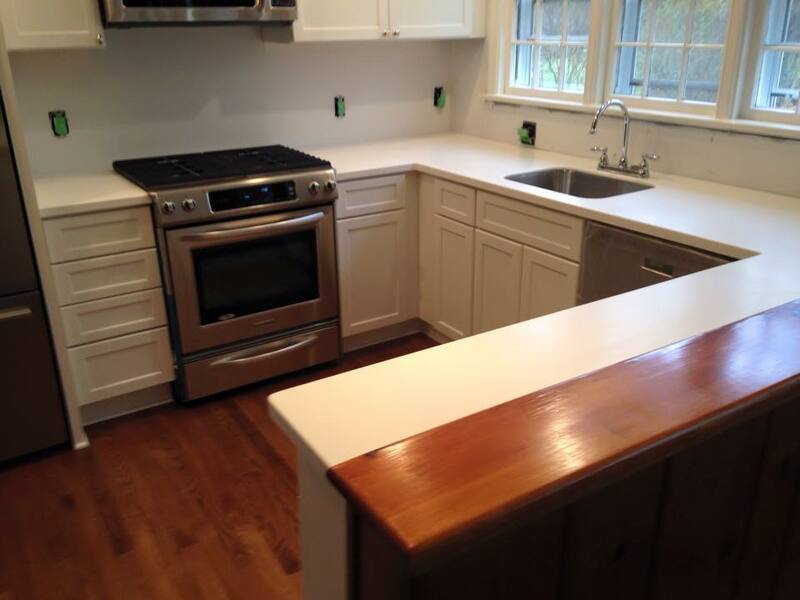 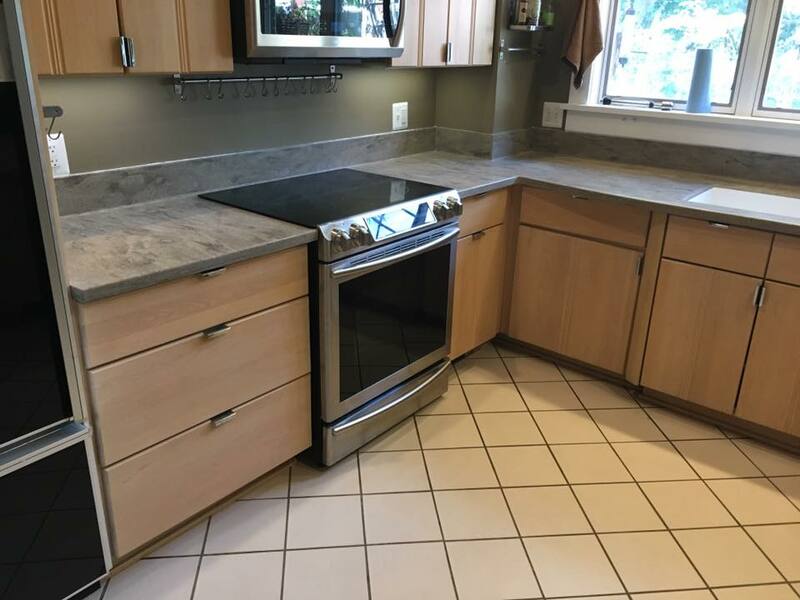 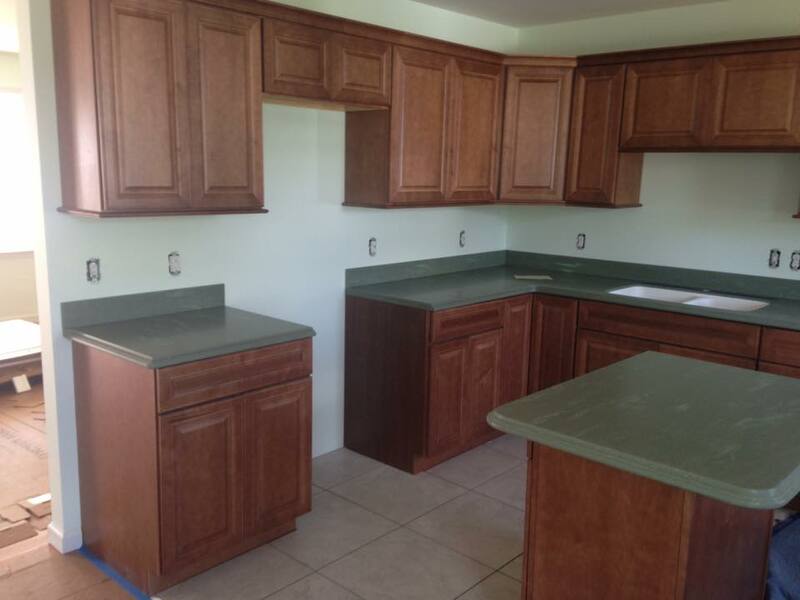 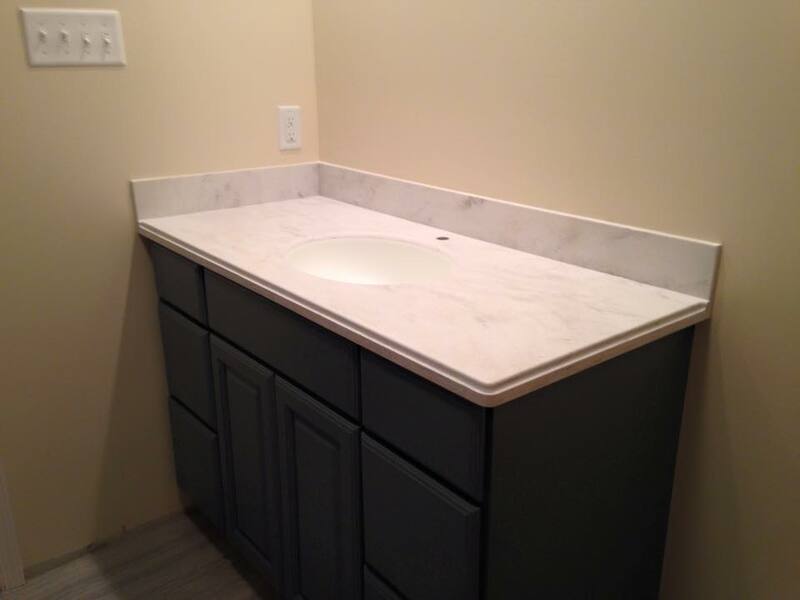 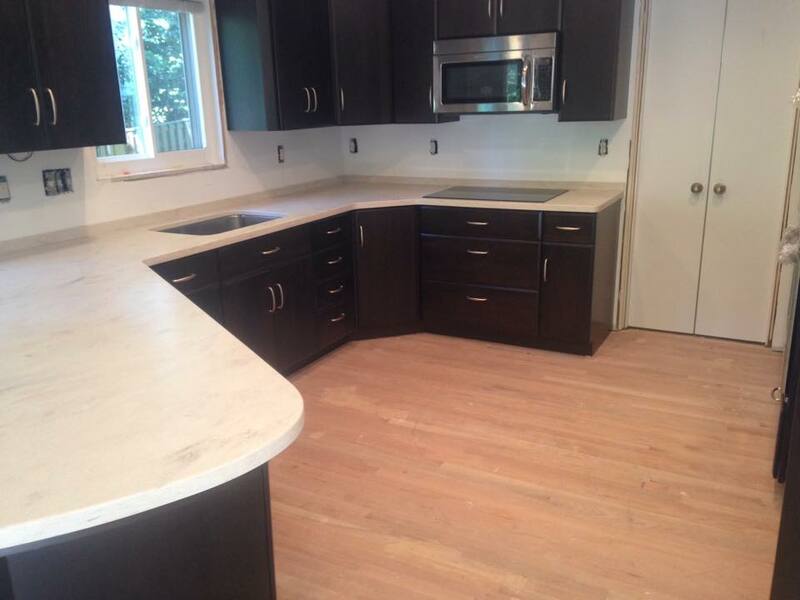 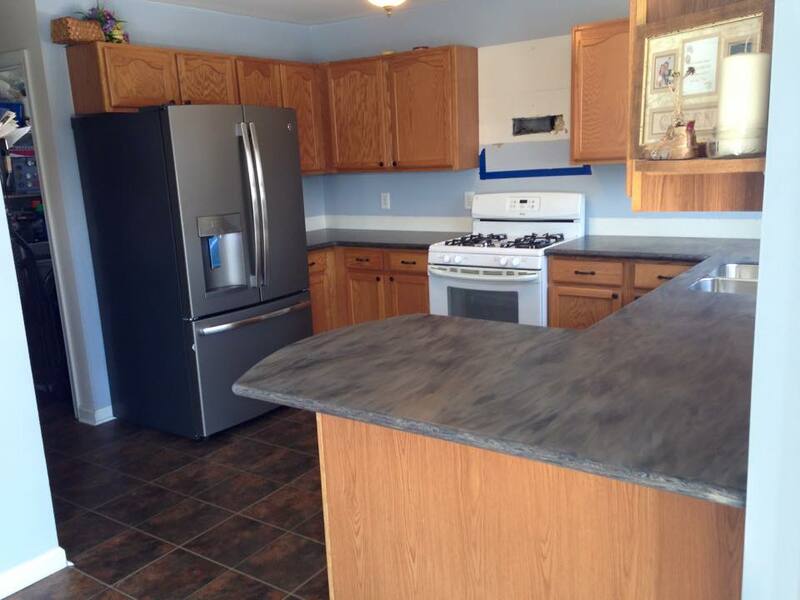 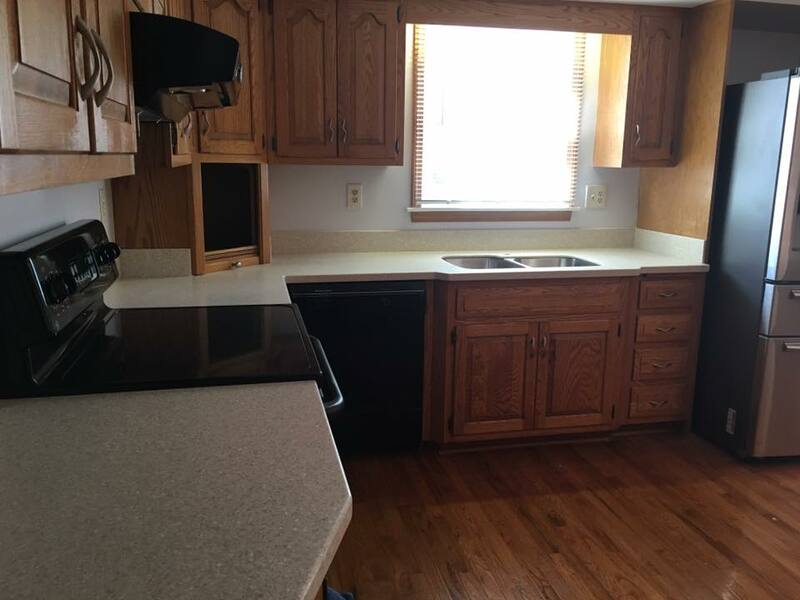 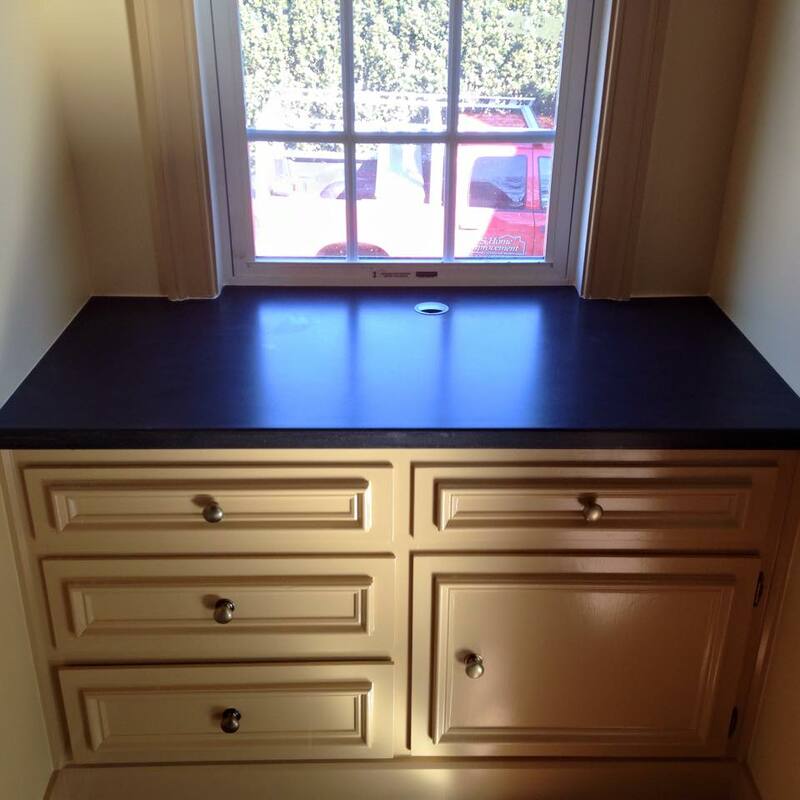 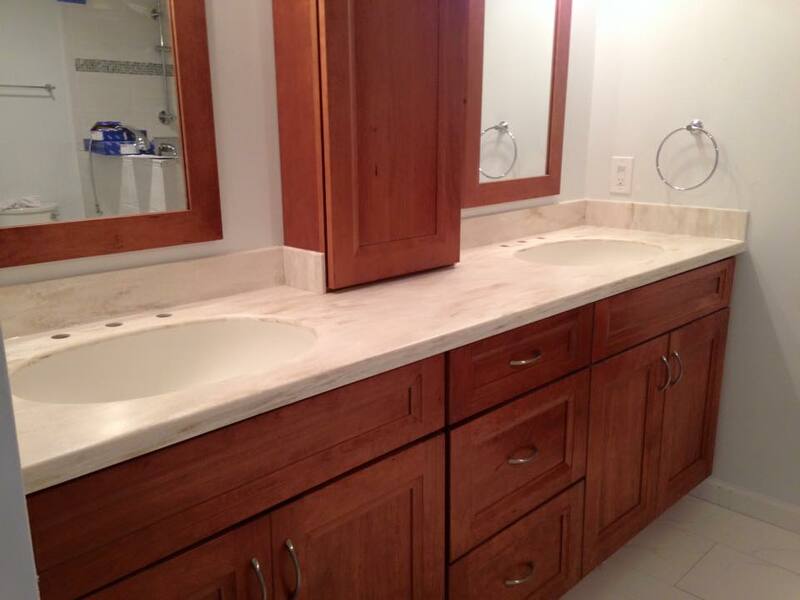 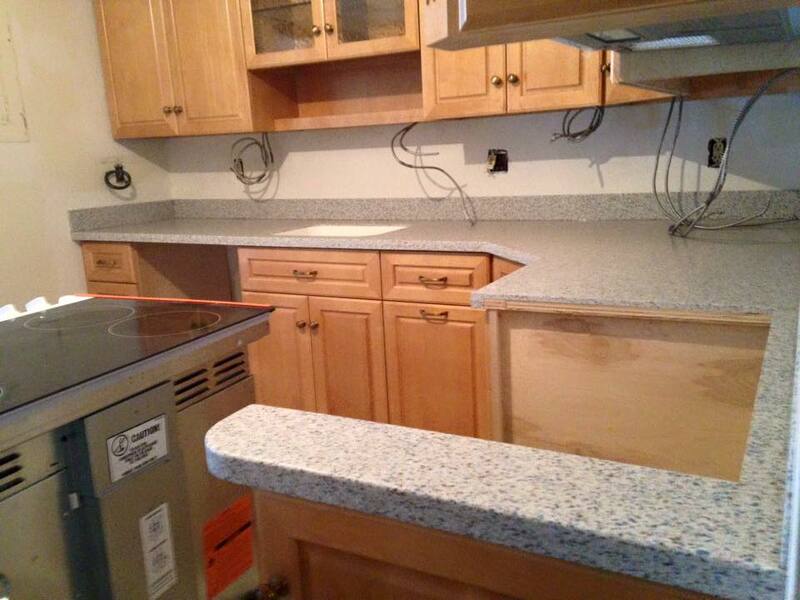 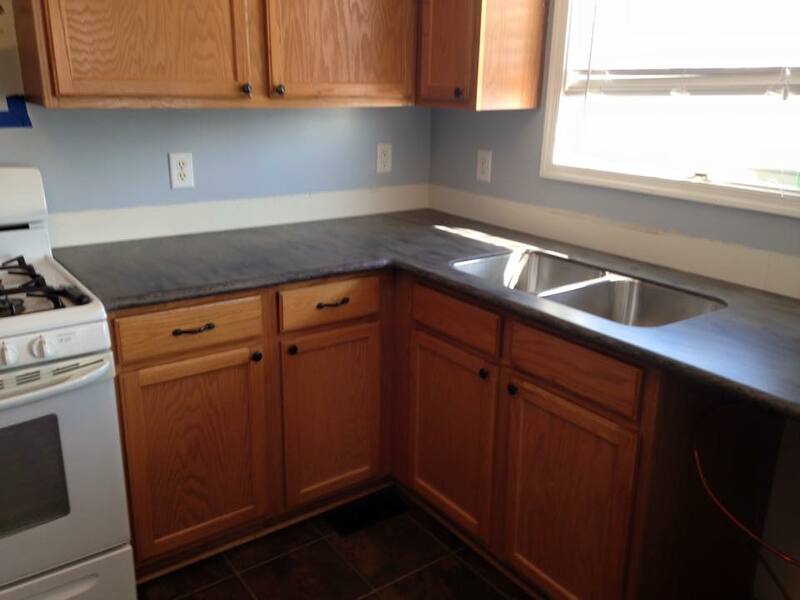 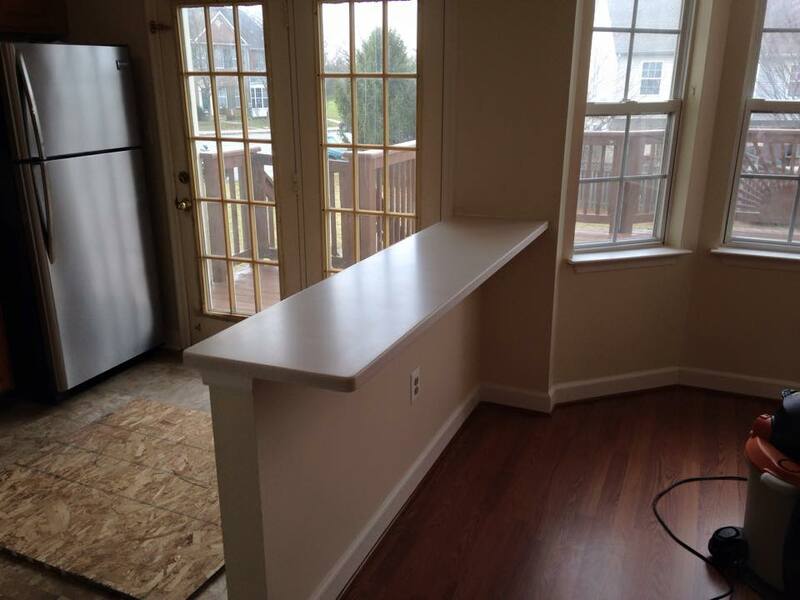 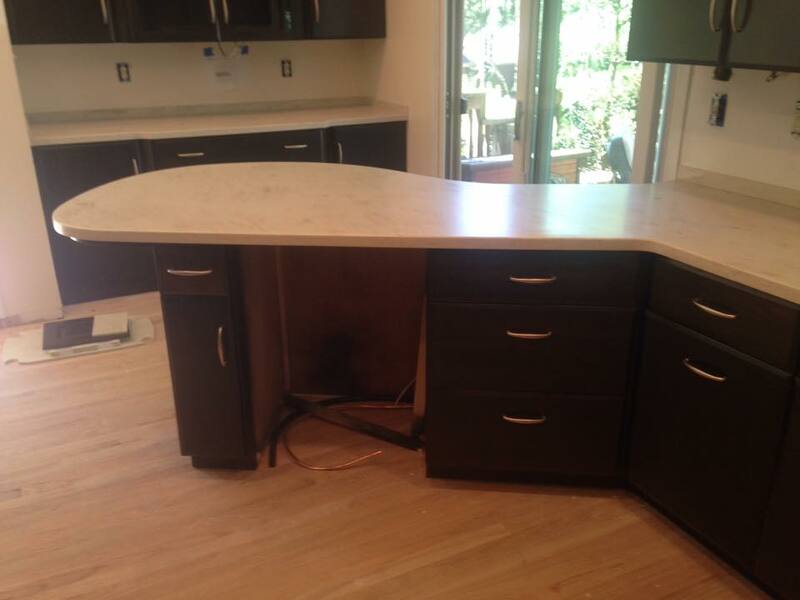 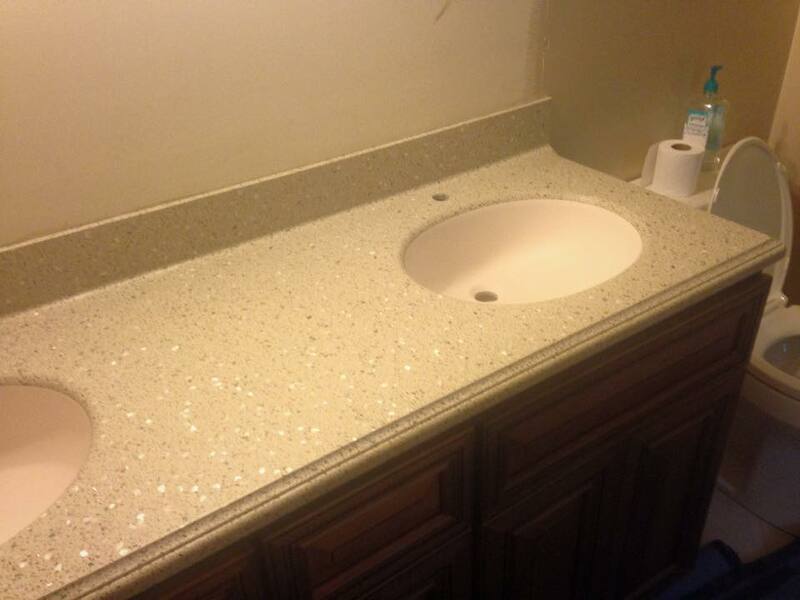 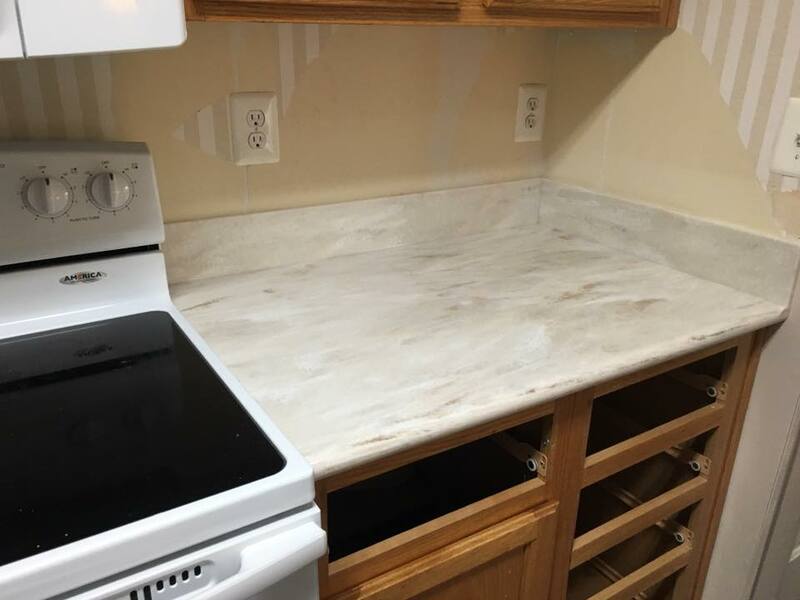 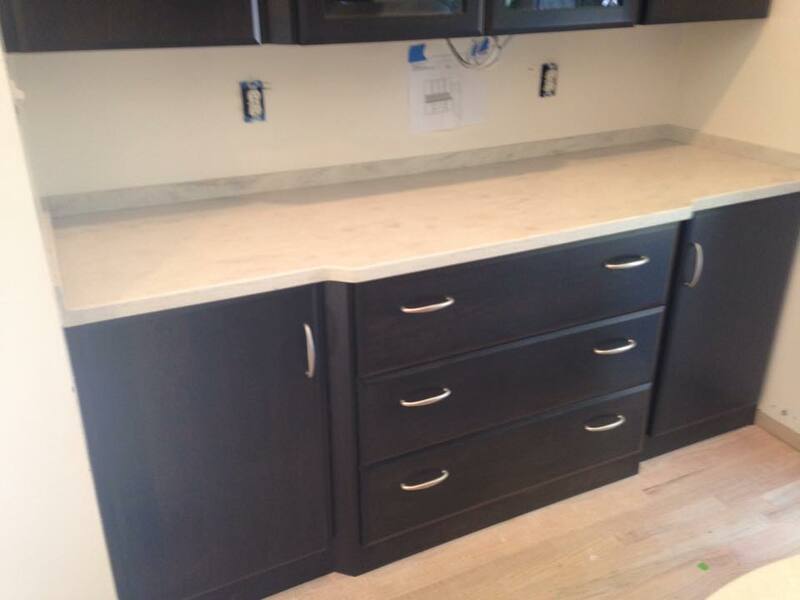 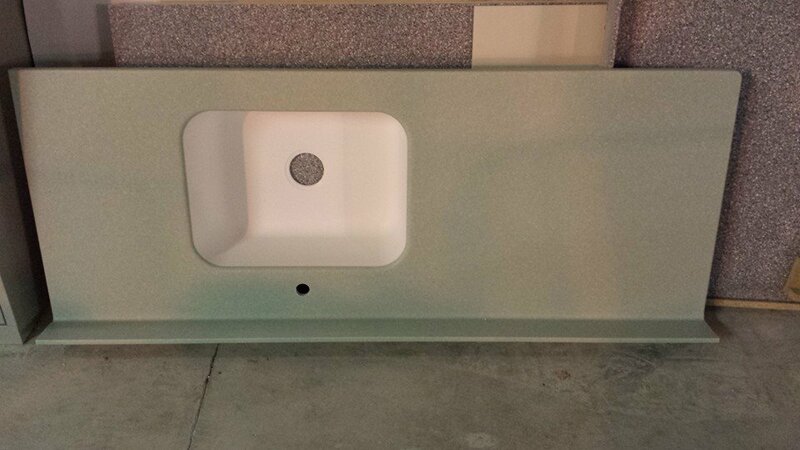 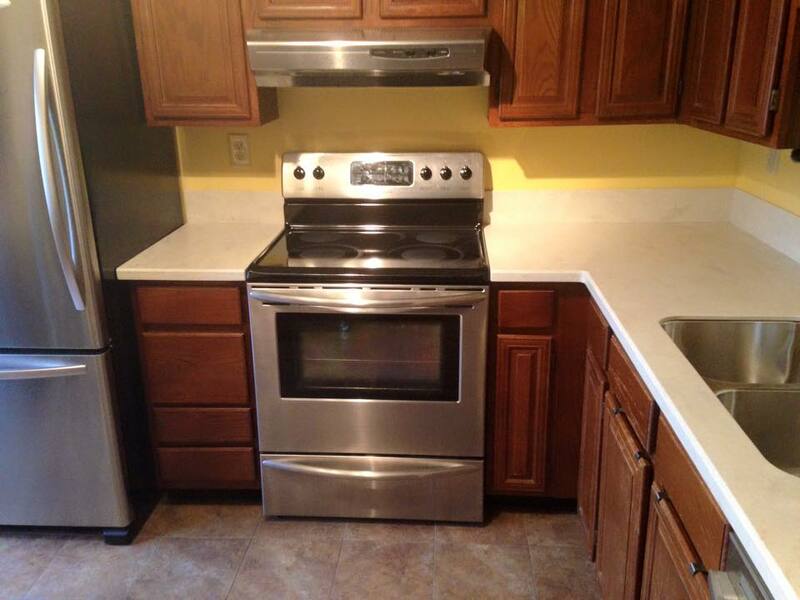 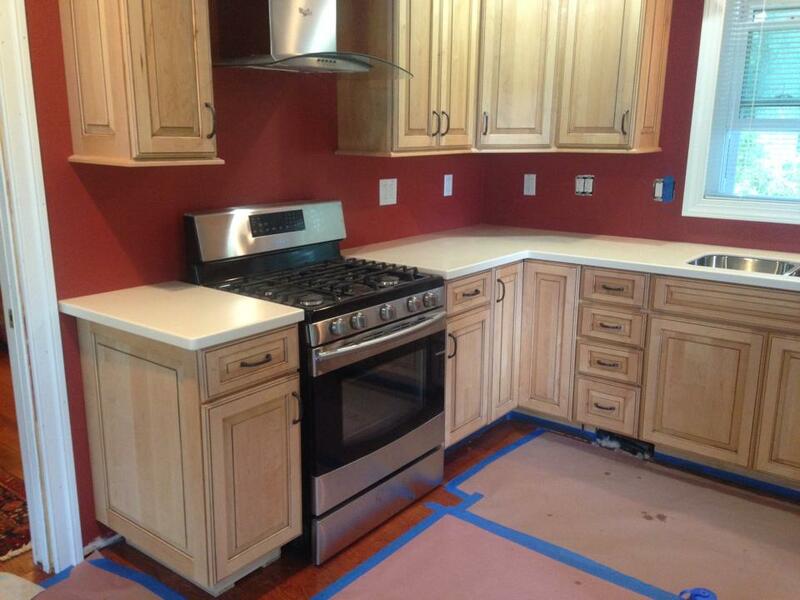 Acrylic countertops are durable, easy to clean and are available in a variety of colors. 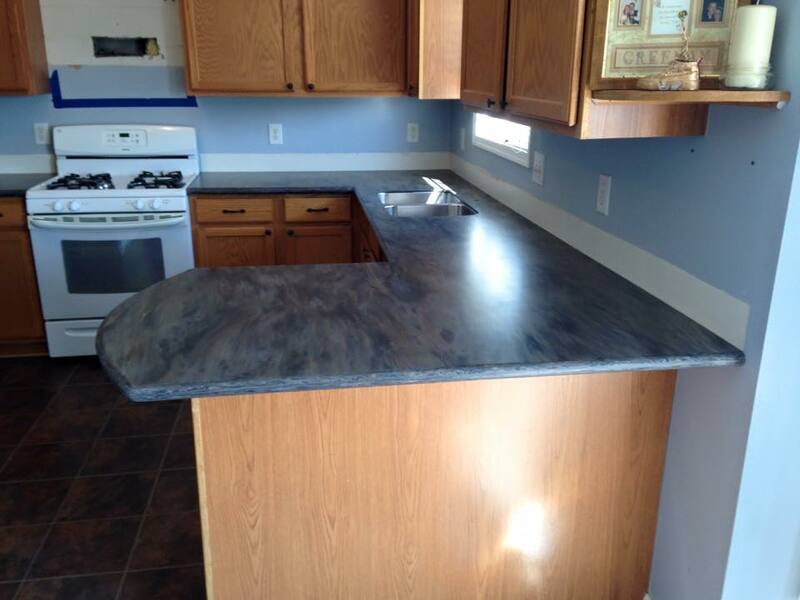 Non-porous, stains do not penetrate the surface. 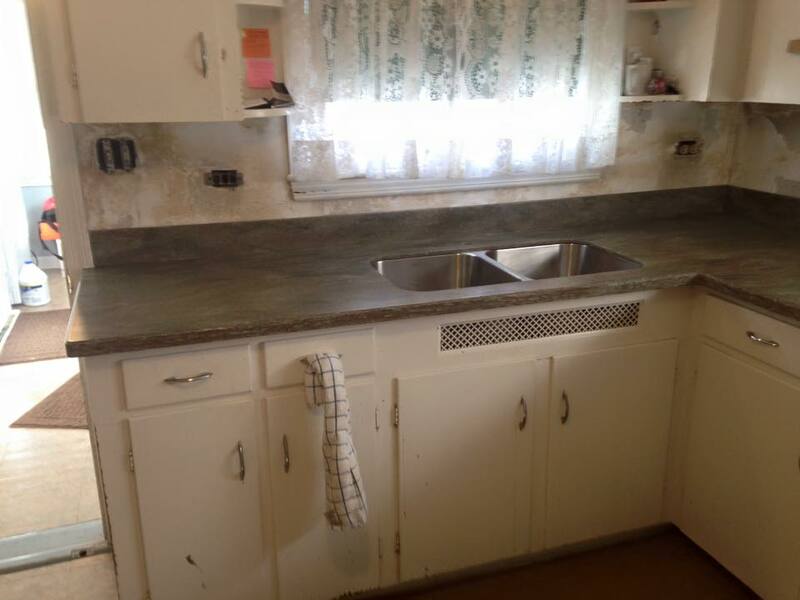 With proper cleaning, they resist the growth of mold, mildew and bacteria. 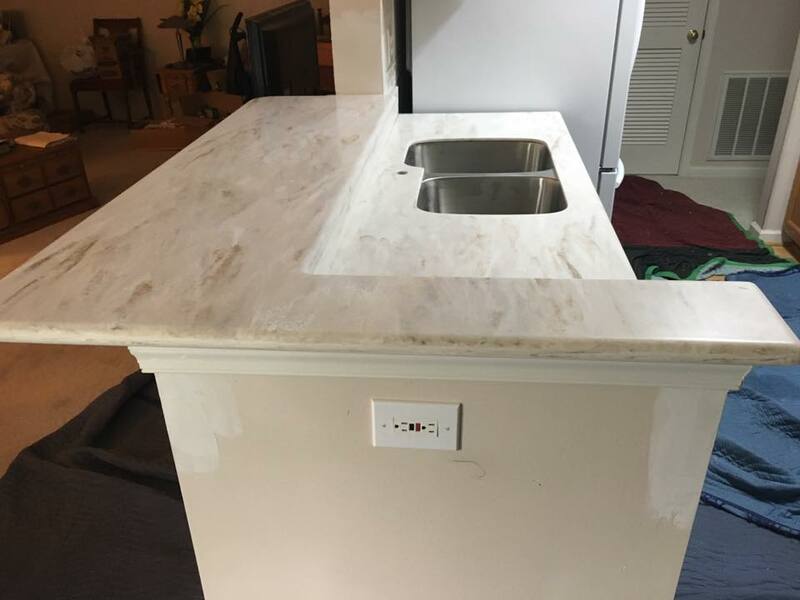 Repairable – most marring can be professionally repaired, including burns scratches and holes. 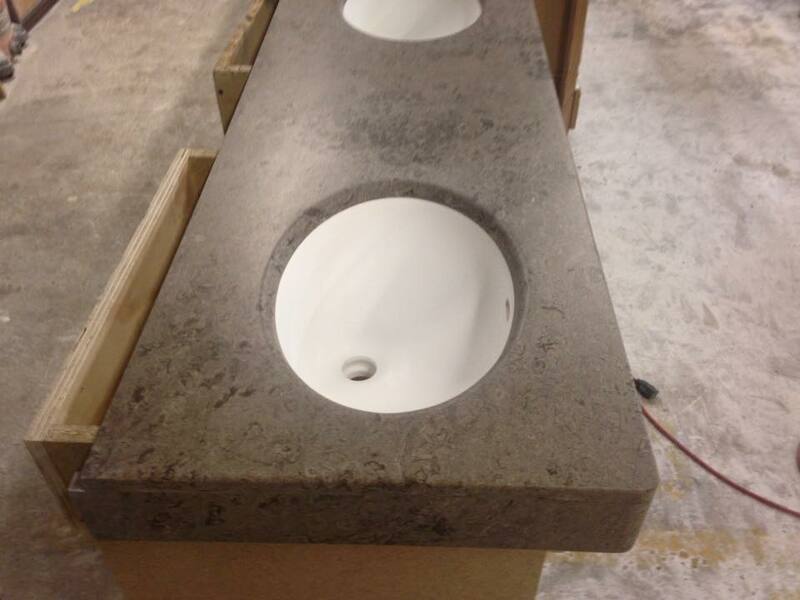 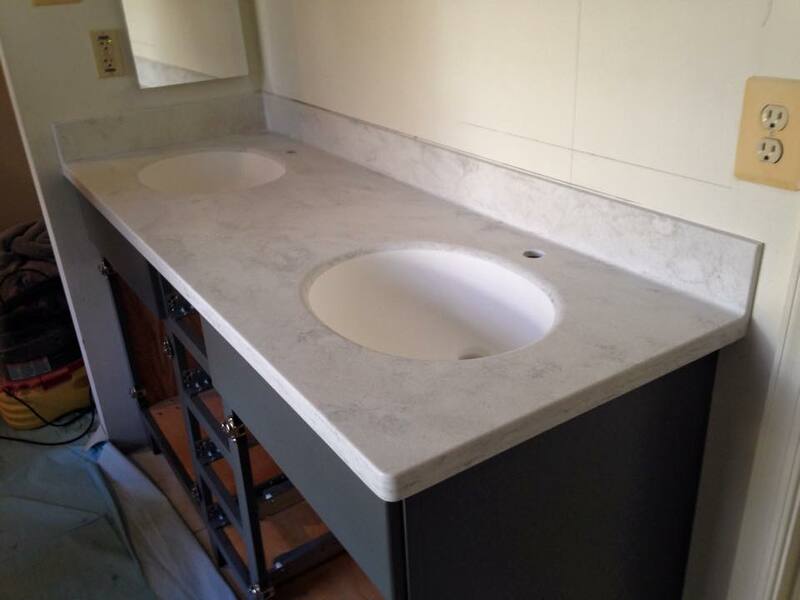 Sinks and backsplashes can be perfectly integrated to create the illusion of a single, solid surface. 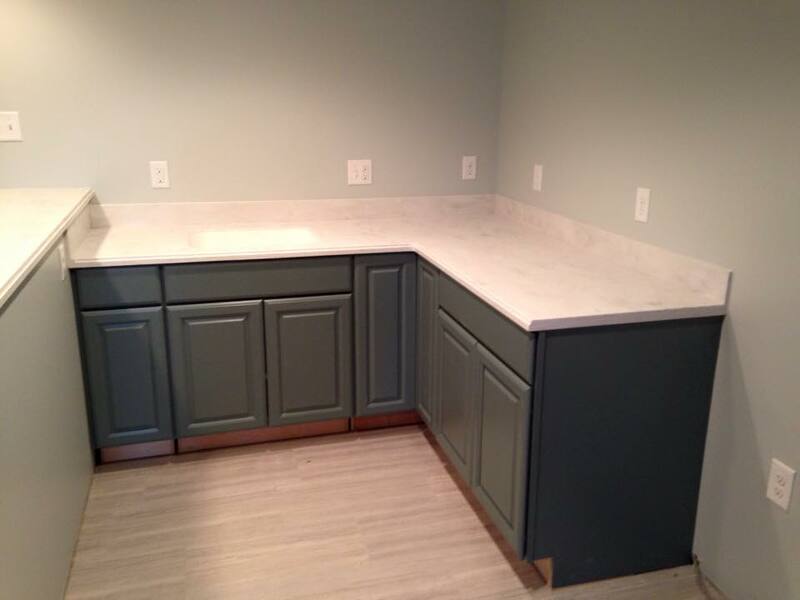 With a cove backsplash there are no cracks to collect dirt and moisture. 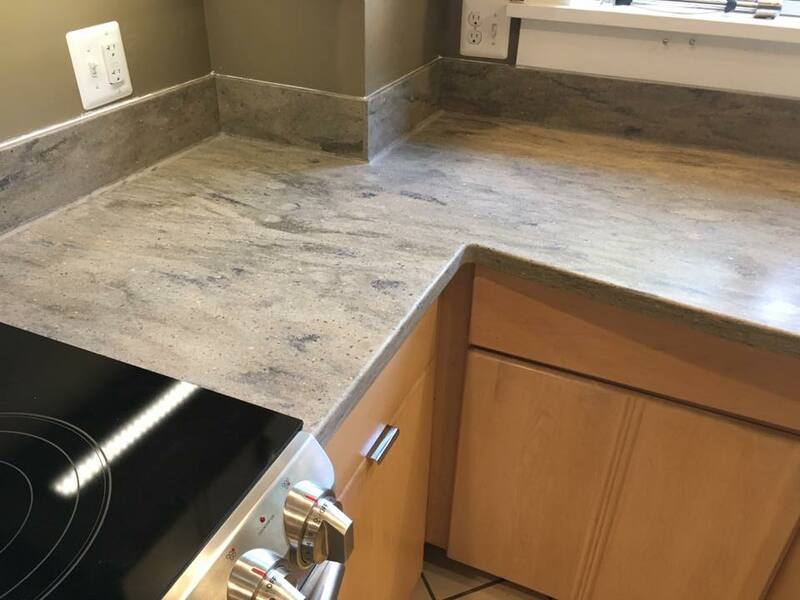 If there has to be a seam in the top, you will not be able to feel it and in some cases may be visually hard to detect. 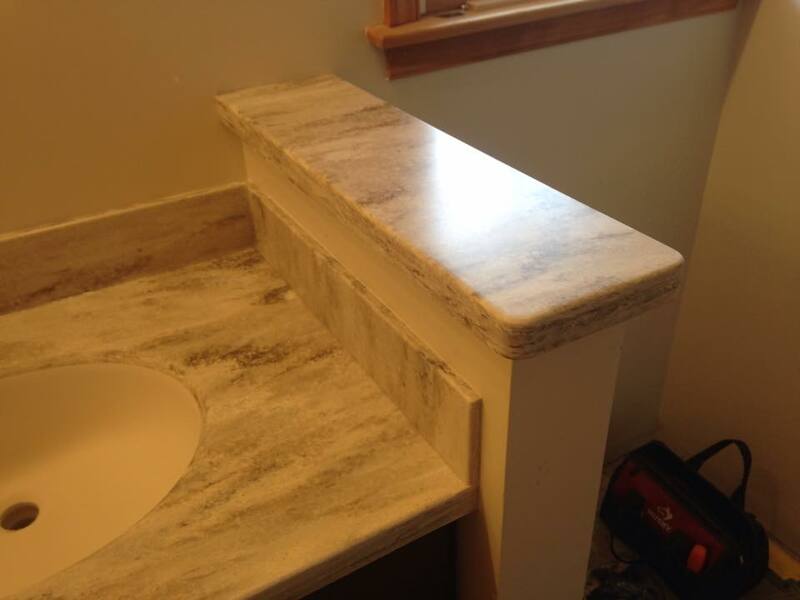 Many edge profiles to choose from.